SKU: LL653s. Categories: Sleepwear, SPECIALS. 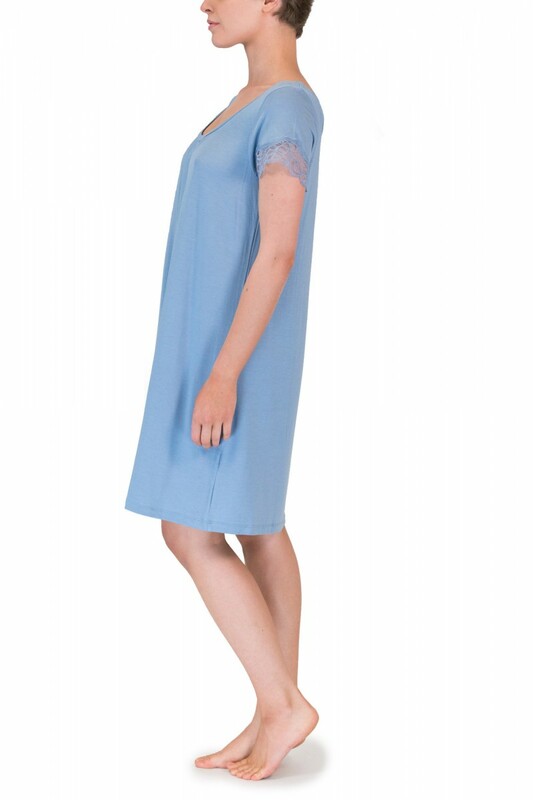 The Love & Lustre Premium Modal Nightdress has a scoop neck with short lace trimmed sleeves. A small gather at the neckline is flattering and adds to the comfort of the garment. The pieces in this collection are functional enough for everyday but still a little bit special. Pair it with a Modal Robe for an elegant set or mix it up with a Sherpa Robe or 100% Cashmere Robe for the ultimate in practical luxury.